Many men use some kind of hair removal and it is increasing in popularity. Mens back and shoulder waxing is the most common hair removal treatments at Genco. At Genco we use high quality strip wax to conduct your waxing treatment. Our therapists are well-trained in working with men – they understand that for many men it will be their first foray into male waxing, and our therapists also understand that a man’s pain threshold is lower than a woman’s. To give you a little incentive to try us, you can have your first mens waxing for 25% off the normal price. Just complete our online form, and we will send you your 25% First Wax Discount Voucher via email immediately. It will arrive straight away so you can use it today. There are certain techniques that the therapist will use to ensure that your mens waxing session is as pain free as possible. Firstly the qaulity of the wax can make a difference. At Genco we use Lycon strip wax which is recognised as the best wax available. 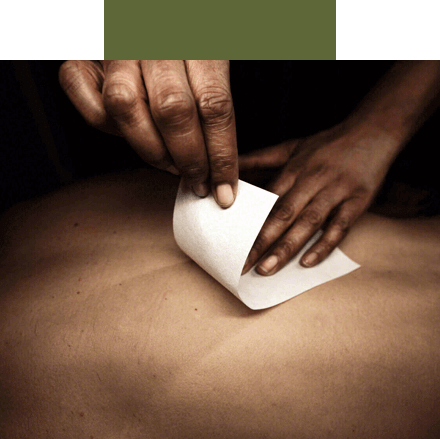 Secondly, our therapists pay attention to the details when conducting a male back or body wax. Our therapists ensure that the skin around the area where the wax strip is placed, is stretched (by the therapists free hand). This ensures that the strip pulls on the hair and not the skin itself, which is the main cause of pain. Thirdly, our therapists are trained to pull the strip carefully always keeping the wax strip at the right angle to the skin all the way till the whole strip has been pulled away. Again, this ensures that hair is being pulled out by the wax and not the skin. We also try and use simple distraction to keep your mind off the pain you may feel, for example reading a magazine or newspaper during your back waxing session can work wonders. After a mens waxing session there are no visible hairs left at all, and the skin is baby bottom smooth. The treatment is totally safe and usually you won’t need the service again for 4 to 6 weeks, however, the re-growth will be of completely new hairs with softer tapered tips.